Get targeted care for your extremely dry skin with the Eucerin AtoControl Acute Care Cream, an intensive treatment that actively relieves flare-ups and irritation. Suitable for use by babies, children and adults, this clinically approved skin calming complex provides relief for dry, tight, and rough skin. The cream works to immediately calm the skin and shield it against future irritation by rebuilding its barrier function, stopping irritants and allergens from causing itching and redness. A rich infusion of omega fatty acids including evening primrose oil and grape seed oil intensely moisturise the skin, liquorice extract soothes, and decandiol actively relieves the skin. After use, the need to scratch is reduced and skin feels more comfortable. 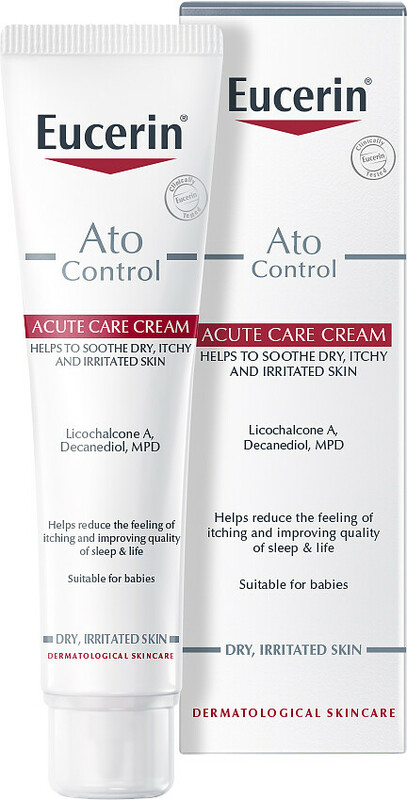 Apply as often as needed for intensive care of the affected areas. 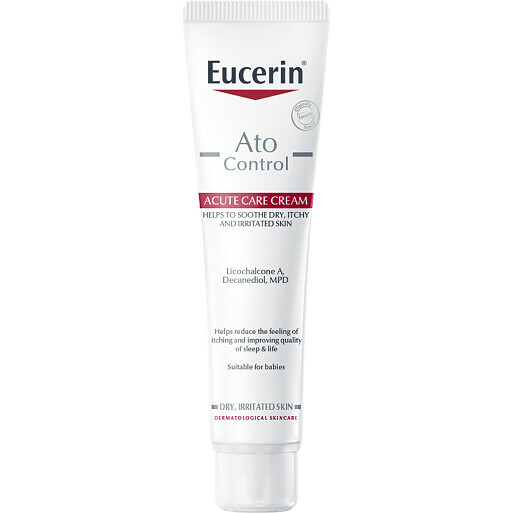 Eucerin Atocontrol Acute Care Cream 40ml is rated 5.0 out of 5 by 1. Rated 5 out of 5 by sallygoaround from Eucerin Atocontrol Acute Care Cream 40ml Excellant product, used this on my arms and back of hands, which get so itchy at times, I scratch lumps out of them. Have been to the doctors and tried various other creams on the market not to mention a cause of Steroid tablets to no avail, but must say this seems to do the trick for me. It has not got a strong perfume which is good for me also, as people who suffer from acute skin allergies, also hate perfume as it sets off rhinitis, which is most uncomfortable ., ie sneezing eyes watering etc. I avoid strong perfumed products at all costs.